Late Victorian Pine Firkin or Flour Barrel in its lovely condition original paint. The measurements on the listing are with the handle down. 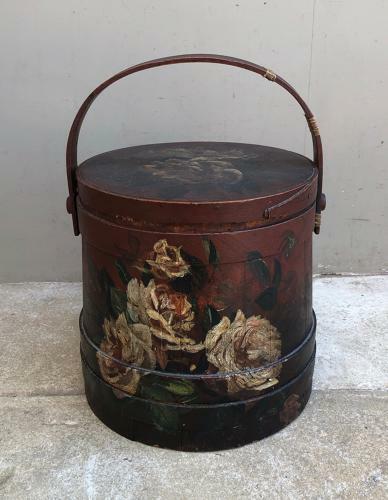 Lovely floral paintwork on the lid and front. There is some ancient strapping to one side of the handle for a minute little split in the handle. All part of its charactor now but I think it would be ok without it. Great condition inside and underneath with no worm at all.